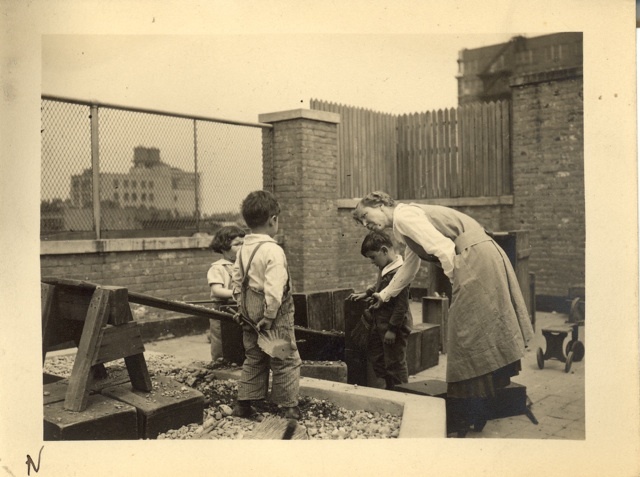 IVs play "coal" on the roof with outdoor blocks during the 1921-22 school year. Photo taken by Fred Dewey. 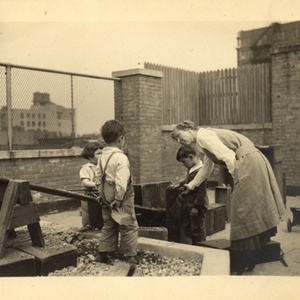 “IVs Play "Coal" on Roof, 1921-22,” City and Country School Digital Archive, accessed April 18, 2019, http://digitalarchive.cityandcountry.org/items/show/32.